Every year, on average, 112 workers die on the job in Colorado – that’s one workplace fatality every three or four days. Thousands more suffer workplace injuries. While there are some things about work comp claims we’ve come to expect, such as the fact that health care workers are much more likely to get sick on the job, other facts are a little more surprising. For example, you’re much more likely to get hurt as a result of fatigue than at the hands of a violent co-worker. In fact, overexertion and falls account for more than $25 billion in workers’ compensation costs nationwide – and nearly half of all claims. 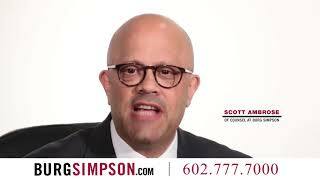 A Burg Simpson Colorado workers comp attorney is here to help! When accidents happen, it’s the employer’s responsibility to take care of their employees and their families. Unfortunately, that’s not always what happens. Employers and insurance carriers often hide behind dozens of litigators to protect them from keeping their promises and paying your claim in a fair manner. It doesn’t help that navigating the Colorado workers’ compensation claims process can be a daunting task, even when you’re not recovering from an injury or mourning the loss of a family member. There’s nothing easy about the entire process. It’s like working your way through a maze without a map, while the clock is ticking. At Burg Simpson, our experienced, award-winning team of Colorado workers comp lawyers have been fighting for injured workers and their families for more than 40 years. We can walk you through the intricacies of workers’ compensation law in the state of Colorado, demand you receive fair compensation during your case, and fight for your medical care. We’ll help determine any eligibility you might have for additional benefits or even third-party liability. We have a comprehensive in-house team to help you every step of the way, made up of experienced litigation attorneys, dedicated paralegals, and a compassionate support staff. 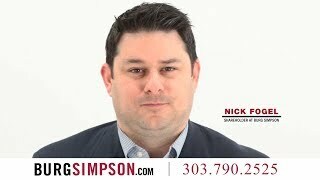 Burg Simpson’s Colorado workers comp attorneys represent injured workers across the state. We fight for assembly line workers and construction laborers. We also represent the state’s first responders, whether they’re firefighters, law enforcement officers, or EMTs. In fact, our workers’ comp attorneys testified at the Capitol in support of legislation to extend workers’ comp protections to first responders. A Burg Simpson Colorado workers compensation attorney have represented health care workers, truck drivers, factory and office workers, as well as a diverse group of other workers and individuals. Our workers comp attorneys fight for Union workers to make sure they receive the fair treatment they deserve. If you’ve been injured while on the job, or lost a loved one to a workplace accident, it’s absolutely critical that you reach out to our Colorado workers compensation attorneys at Burg Simpson immediately. There are several factors that can alter your case for a claim, such as the severity of your injury, and the circumstances surrounding the incident. But the most important aspect of your case, which can often determine the success or failure of a claim, is the timing. It’s crucial you act quickly. Time starts running out on your ability to file a successful claim as soon as you’re injured. 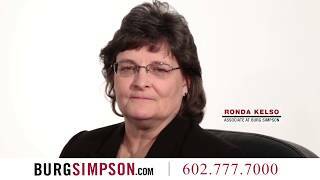 You may hear from litigators representing your employer, their insurance company, company supervisors, and others. It’s essential you talk to someone who will look out for your best interests before that happens to help you understand your rights and fight for them.